Now, I had my best memories in Paris too! First of all, the River Seine Cruise..
with all the Queens of GLAM! with my best mentors, hanis and raz! While on cruise...everyone was so excited. The weather was really nice too. 1st was in amsterdam, and 2nd was in Guangzhou in 2012. This time around, I could bring more friends together..
the macho men in business! Hanis Haizi, Naa Kamaruddin and Eiffel Tower! From Geleries Lafayette, we walked to Hard Rock cafe, had lunch together..then to CHANEL Rue Cambon! We're at CHANEL, 31 Rue Cambon! Then, we moved on to Galeries Lafayette..
All couples posing macam-macam gaya..
Ikutkan puas, memang tak puas dekat Eiffel tower. Nak duduk lama-lama lagi kalau boleh. We really had fun together. the view from Galeries Lafayette Rooftop..
these are all my unforgettable memories of Paris. with our best travel guide, Mr Darren. Thank you so much to all B2 bus members, for your cooperation with us. This was the 2nd time for me chosen as Bus Leader. 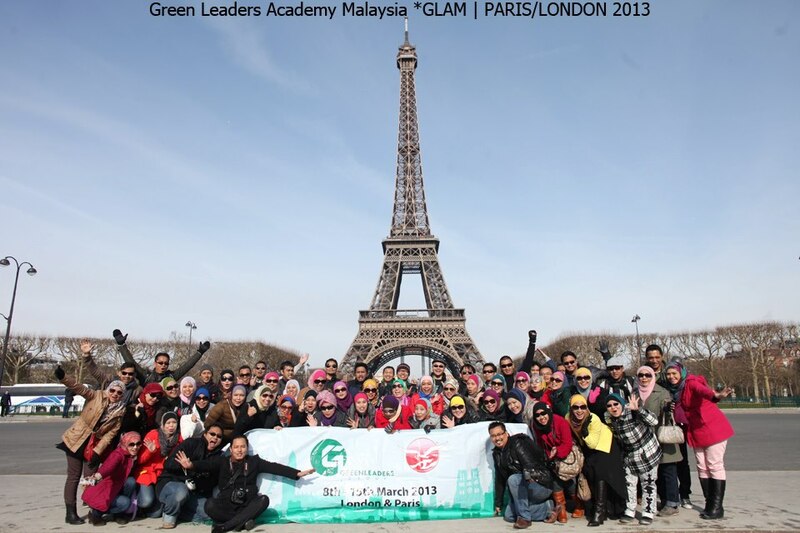 GLAM | Beautiful Circles in Paris 2013! GLAM | Beautiful Circles London Paris 2013 Part2 from Ashraf Naserudin on Vimeo.